A Seminar for aspiring Black Belts. In our regular practice we focus on the kihon. The basic forms and practices that build strength and stability through repetitive execution. 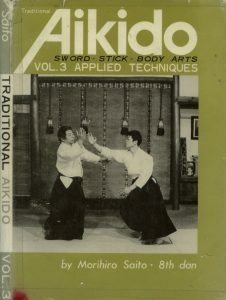 But Aikido also has a wide range of categorised responses to various alternative forms of attack. In Iwama, O’Sensei explored Aikido by worshipping the Budo Guardian Spirits and praying every morning and evening. And so Takemusu Aikido was created. He said the former aikido was not the “true” aikido. It may not be incorrect aikido, but this is what O’Sensei said. In Takemusu Aikido, bit by bit, new techniques appear spontaneously. This never stops, it is infinite like a spring. This is Takemusu. Therefore, for every technique, there is a basic form. It is necessary to learn these basics in their correct order to be able to understand the real aikido.